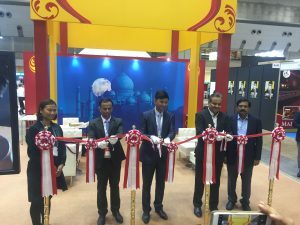 Japan crossed the 100,000 mark in Indian arrivals in 2016 and witnessed a total of 123,000 Indian visitors, informed Masahiko Sakamoto, Senior Director, Tourism Division, Bureau of Industrial and Labour Affairs at Tokyo Metropolitan Government’s first promotional activity on January 30 in New Delhi called Tokyo Wonderland. He said, “We are focusing on improving the arrival numbers from India through such promotional activities to showcase the culture and tourism products of Tokyo. 2020 is the year we host the Paralympic Games and are expecting a large inflow of tourists too.” He informed that places like Ginza and Shibuya are undergoing an infrastructure transformation and are some of the things to look forward to, apart from the cuisine, shopping, numerous nature parks and theme parks. The event showcased the city and its different attractions under five themes ‘Unique Culture’, ‘Excellent Dining’, ‘Exciting Shopping’, ‘Delightful Stay’ and ‘Comfortable Nature’ and also organised a Japanese tea ceremony for the attendees to experience.